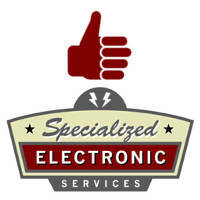 Specialized Electronic Services is an Authorized Distributior and Service Center for major manufacturers. Specialized Electronic Services are certified service and repair experts with years of experience in the industry. We also sell and repair most VFD’s and related equipment. The drive you are looking for possibly could be replaced with a higher quality more economical model. We also do VFD retrofits. Quality Repairs: Our electronic technicians and engineers are fully trained to use the latest technology to test and repair your VFD. We have the capability to repair your circuit boards down to component level. We have the capability to load test your VFD drives up to 100 horsepower and your power supplies to 200 amps in our custom-built load bank room. Larger VFD drives and equipment can be load simulated. Specialized Electronic Services offers a 66-month warranty from the date of installation on most repaired items. We sell and repair on-site most major manufacturers VFD drives: ABB drives, Allen Bradley VFD, Altivar Drives, Baldor VFD, Cutler Hammer VFD, Control Techniques Drives, Danfoss Drives, Emerson VFD Drives, Eurotherm Drives, Fairford Electronics LTD, Fuji VFD, Hitachi VFD, Magnetek Drives, Mitsubishi VFD, Schneider Drives, Siemens VFD Repair, Square D VFD, Telemecanique VFD, Teco VFD, Toshiba VFD, WEG VFD Drives, Yaskawa VFD Drives, and many others. We provide Authorized Repair, Sales, Maintenance and Field Service on industrial electronic equipment nationwide. VFD Drive Repair, VFD Drives Sales. We have a regional sales force covering Texas, Oklahoma, Arkansas, Louisiana, Southern Missouri and New Mexico, but we can sell and repair onsite nationwide. Quality Repairs: Our electronic technicians and engineers are fully trained to use the latest technology to test and repair your industrial electronic equipment. We have the capability to repair your circuit boards down to component level. We have the capability to load test your drives and VFD’s up to 100 horsepower and your power supplies to 200 amps in our custom-built load bank room. Larger drives and equipment can be load simulated. Specialized Electronic Services offers a 6-month warranty from the date of installation on most repaired items. We are Authorized to do Warranty Service and Repair for Magnetek, Yaskawa, Fuji, Baldor, Reliance, ABB, Siemens, US Drives, Control Techniques, Emerson, Saftronics, SEW Eurodrive, GE, FANUC, Square D, Cleveland Motion Controls, Toshiba, Polyspede, Graham, TB Wood’s, Motortronics, Nexen and Fairford Electronics. Specialized is also an Authorized Warranty Center for many other manufacturers. On-Site Field Service Capabilities: We provide 24-hour on-call field services, including Holidays. A qualified SES technician will come to your facility to troubleshoot problems, whether they are in your start-up, existing system, or in an individual unit. If your industrial electronic automated equipment is down our technicians and engineers will troubleshoot your system and figure out what is wrong and get you back up and running as fast as possible. We will also help you develop and maintain a preventive maintenance program, and show you where and how you can upgrade existing equipment. We can converter your existing DC Drive and DC motor system to an AC Vector Drive and AC motor, The AC Vector Drive and Inverter Duty AC motor are much more reliable and readily available for your factories automation needs. Call us for your retrofit needs. We are an official service center for many manufacturers including ABB, Square D, Yaskawa, Baldor, and Emerson and can work on their equipment even under warranty. Authorized Service and Warranty Center: Specialized Electronic Services is an Authorized Service and Warranty Center for many major manufacturers. See all the manufacturers we service here. Competitive Rates: Specialized Electronic Services rates are more than competitive, in fact, they are usually below industry standards. In addition, the repair costs are usually less than half the cost of replacement. In some cases, the cost of repair exceeds the reasonable cost of replacing the equipment. In these cases, we’ll let you know and give you the option of repair or replacement. If you need help with specifying a replacement, or a Full System Retrofit, our Engineering staff will help. You can call us to find out what our costs would be to come to your facility to do repairs on site. Many customers have said our pricing on AC and DC drive repairs are some of the best they have seen. Repaired Items Shipped: Specialized Electronic Services ships repaired items back to you the same day the repair is completed. Repaired items are protected during shipping using Anti-Static shrink wrap bags, Anti-Static bubble wrap, and Anti-Static foam peanuts inside heavy corrugated boxes, and there are no freight charges for repaired items shipped using UPS ground service. At Specialized Electronic Services, we have Factory Trained Technicians available for your industrial electronic needs. We are factory authorized representatives for many leading brands in the industrial field. Whether it’s AC Drives, Spindle Drives, DC drives, Servo Drives, PLC cards, or circuit board repairs, we have the training and ability to do the job right the first time. We have over 50 factory authorized training certificates and we are an Official Warranty Service Center for many AC, DC, and servo drive manufacturers. Our staff keeps training so we can help you with the latest industrial electronics upgrades and retrofits in your facility. Call us today for your industrial electronic needs. Load Tested Repairs: At Specialized Electronics we can put a load on your VFD drive or DC drive after we repair it, up to 100HP. We have motors that we tie together to buck each other when we test your VFD or DC drive when the repair department is done with the repair. If a drive comes in for repair, be it a VFD drive, DC drive, Servo drive, or Spindle drive and it is uneconomical to repair or if it can’t be repaired due to obsolete parts, we can usually get you a quote for a new drive that will work in its place. Our sales department will work with you on getting you the proper drive to retrofit into your system if your old drive is obsolete. If your drive is still currently available we will quote you with the same drive. Read about VFD Drive Retrofit here. Call us today if you have a need to purchase or repair your Baldor Variable Frequency Drive even if not listed above as we have many more items in stock and repair many items that we carry and do not carry as well. At Specialized Electronics we can train you to troubleshoot and fix your Baldor Variable Frequency Drive. VFD Electrical Noise Issues: Specialized Electronic Services also provides onsite training to help your staff troubleshoot their own VFD drive problems and electronic noise issues. If you have Foreign metal Detectors, Stealth Metal Detectors that have any Electrical Noise Issues, you can count on us. Read more here.